Flavorful, nutritious recipes created by diabetes experts make it easier to prepare healthy meals while losing weight and to take control of type 2 diabetes. AMA-approved recipes are simple, with quick and easy main dishes, sides, soups, snacks, and desserts. 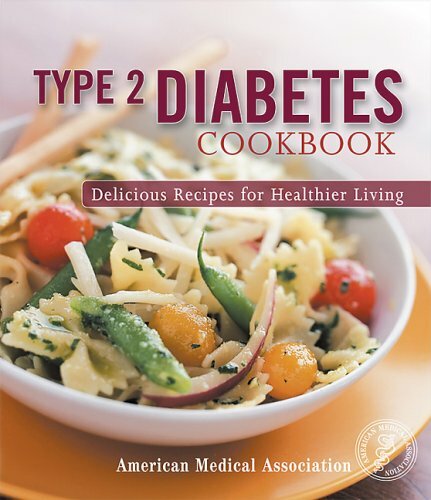 A complete introduction offers the latest information on identifying type 2 diabetes risk factors, hints for fighting diabetes, setting goals for nutrition, learning about healthy and unhealthy fats, and counting calories for achieving ultimate weight loss including special guidelines for determining calorie levels for your children. Calorie counts, diabetic exchanges, and complete nutrition information for every recipe is included in an easy-to-follow format.